Drink cheaply for women. WIMS (Women in Math and Science) is having another fund raiser this Friday at Baja Bean on the Corner, 7pm–10pm. $3 margaritas and $2 drafts if you donate $4 for a cup. Chow down on (free) tasty[sic] Tex-Mex, mingle with other (super cool) graduate students, and purchase an (awesome) cup from WIMS for a drink special. Proceeds from the cups will be used for WIMS outreach activities, which include visiting local elementary schools for science experiments and bringing area high school girls to tour UVA research facilities. Buying a cup for $4 will allow you to enjoy $3 margaritas and/or $2 drafts for the duration of the event! I've been forgetting to provide you all with handy links to buy random crap from Amazon lately. 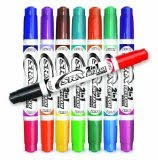 Like double-sided rainbow dry erase markers to draw double rainbows. 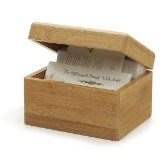 Or a bamboo recipe box to keep all the drink recipes you learn in your short course.